Comment: This is not lawn work. This is reclamation and maintenance of a very large residential flowerbed. This flowerbed needs cultivation to remove weeds, spraying where possible, and Preen pre-emergent (or other) mulch. It is possible some soil may need to be removed in order to lower beds so compost and mulch can be introduced. Shrubs were not trimmed back last year but minimal pruning is desired at this late date. Work must be professional and complete. Comment: I have purchased a home for my Granddaughter while she attends Vet school. I need someone to take good care of the yard. 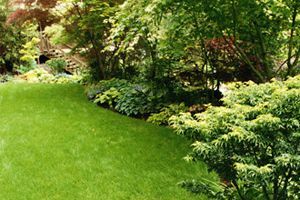 Muhl Landscape & Irrigation, Inc.
Bryan Lawn Care Services are rated 4.65 out of 5 based on 1,791 reviews of 22 pros. Not Looking for Lawn & Garden Care Contractors in Bryan, TX?